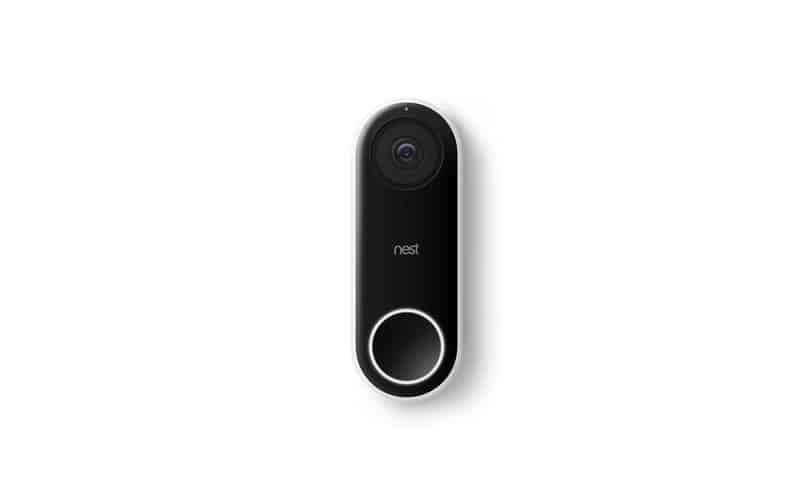 Ladies and gentlemen, you have now stumbled up the most important review of the Nest Hello Video Doorbell that you could possibly find on the web. Why? Because this is the most in-depth, complete, and final review available. We’re going to tell you all about this video doorbell in such a way that you feel you’ve already got it in the palm of your hand. What is the Nest Hello Video Doorbell…And Why is it Different? 1 What is the Nest Hello Video Doorbell…And Why is it Different? This video doorbell from Nest is one of the greatest you’ll see. Like many other video doorbell options, this one allows you to see exactly what’s on your front doorstep no matter the time of day. You’ll get to see whoever your visitors are and check that any packages that have gotten delivered are being left undisturbed. Your video stream will connect your to your phone through the cloud so you can check in on the security of your front door anytime, anywhere. Simply put, this is the best camera that is in any video doorbell today. It sees in HDR, has night vision, uses a 160-degree field of view, and has a 4:3 aspect ratio. While none of these things by themselves are particularly outstanding, it’s the whole package in one place that makes this product stand out. Many of the other cameras out there advertise that they have one or a few of these features – but no one else can say that they have them all. Having all of these characteristics in one camera is truly remarkable. Here’s another thing some doorbells just can’t do. If someone is on your doorstep and you aren’t home, you will probably want to be able to talk to them, right? Well, just pick up your smart device, hit the microphone button, and you can have a crystal clear conversation with whoever it is that is at your door. This doorbell is special in that it uses HD technology to reduce ambient noise so you and your visitor can get your messages across without any difficulty. Again, this is something other doorbells can’t advertise that they can do. Like we mentioned earlier, with this doorbell installed, you can check in on your doorstep from anywhere in the world. As long as you can pull up the internet on your smartphone or another smart device, you’ll be able to have the peace of mind that no funny business is occurring at your house. What’s more, you can even set custom alerts to be sent to you when the camera detects motion, sounds, or, even more specifically, people. Nearly any video doorbell company is going to require you to pay for a lofty subscription to record your video so you can go back and see what happened if you need to. However, this isn’t true with the Nest Hello. Nest will keep a 3-hour running history of snapshots for you to check back in on if you need it – completely free. If you do end up wanting a longer period of recordings, though, Nest still has you covered with Nest Aware. With a Nest Aware subscription, you can record up to 30 days of video and keep it. This guarantees that you won’t miss a single beat of action that goes on in front of your door in the case that something strange ends up happening. You’ll know that something occurred and to check back in on your video before 30 days is up, right? Okay, this one is definitely cool – and absolutely unique to the Nest Hello. Nest is now the first in video doorbells to bring facial recognition to your front doorstep. That’s right – you’ll know if it’s grandma at the door or someone you’ve never seen before. After an initial setup, your doorbell will know that it doesn’t need to alert you when the kids come home from school, for example. But it will still alert you when someone that it doesn’t recognize approaches. Pretty cool, huh? Another absolutely special part of this technology is the ability to record messages for specific cases that can happen at your door. Remember how we talked about the kids coming home from school? Well, you can set them a message that says “Welcome home from school!” if you want to embarrass them in front of their friends. However, if the camera sees someone that it doesn’t know, you can set a message that says “Hey! We’re not home right now but we see you!” This tells potential burglars that they are being watched – but also sounds welcoming to friendlies, right?! Now, let’s be fair. 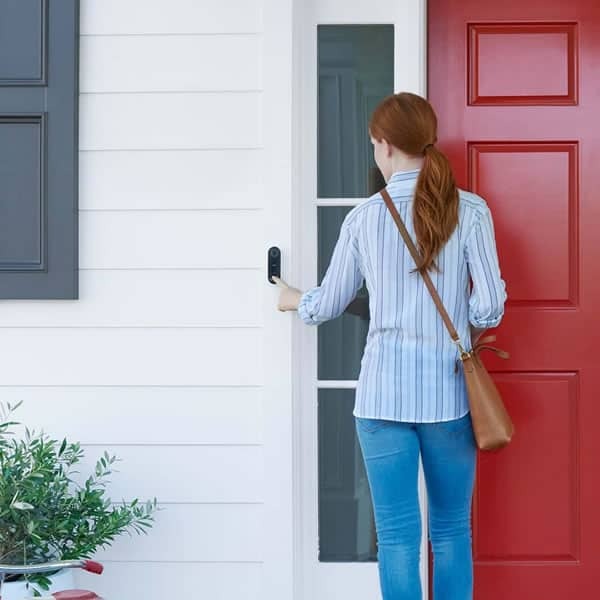 If you’re picking between a big, fat, ugly doorbell that is going to ruin the look of your porch or a lovely doorbell that only serves to further add attractiveness to your doorstep, which one are you going to pick? Yeah, us, too. One look at this Nest doorbell will show you just how nice it could look as a part of the front of your house with its sleek design and modern shapes. The colors, too, are neutral and would add to any home’s façade. Don’t forget to check our Ring 2 Video-Doorbell too. As we said at the top, you’ve just read the most in-depth article you’re going to see about the Nest Hello Video Doorbell. But what we didn’t mention was how complete of a product the Nest Hello is itself. Now that you have read through all of the amazing features and benefits of this doorbell, we’re sure we don’t have to tell you twice, though. Owning a video doorbell is a step into the future for your home, a major security bump for your household, and a fun toy to mess with the neighbors every now and then. They’re a smart product and you’ll be smart to have your own Nest Hello.